As Selene Gonzales mentioned in her article: A Dreamer at SNU on September 5, 2017, the DACA program put into place by the Obama Administration, was revoked. In response to the removal of this program, on September 10th, hundreds of people, Dreamers and DACA supporters alike, gathered at the Oklahoma City Capitol to pray and share their stories. Another local organization is: DAOK (Dream Act Oklahoma), which was established in 2009 with the vision of empowering the local immigrant community in Oklahoma through promoting education, civic engagement, and community service. (DAOK Facebook Page) For more information about DAOK and updates on local events, visit: https://daok.org/. Besides the Prayer Vigil at the capitol, there have been prayer meetings held on our campus, as wells as solidarity rally’s at both OU and UCO. 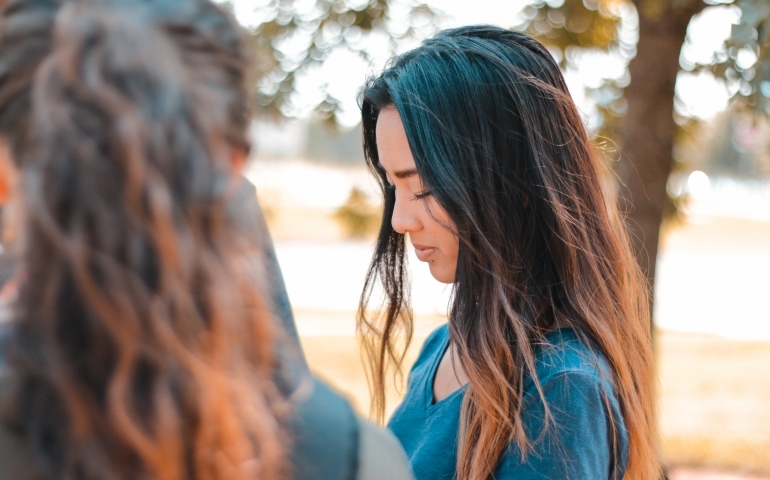 There were several SNU students and people connected to our community that attended the prayer meeting, but to get some further insight on the prayer vigil I interviewed my friend Stephanie. Stephanie, is a 19-year-old Oklahoma City local, who attends school for Video Production at Francis Tuttle. She is a Christian, friend, daughter, sister, photographer, videographer, and a Dreamer. The Prayer Vigil had several different aspects. There was a platform for people to tell their stories, congregational prayer, and a prayer walk. The prayer walk consisted of stations to suggest who and what to pray for. I asked Stephanie if she felt supported in her passion behind the cause. As follow up question I asked if there was any way that those outside of the DACA community can learn to better support people like her. One thing for everyone, is to educate other people on DACA, because a lot of people don’t know about this. Common misconceptions are that people who are undocumented are criminals, steal jobs, or receive government funding. Stephanie said they receive no federal aid whatsoever. That means, applying for scholarships is almost impossible. If you’re a student reading this, let that one sink in. I am not a person of loud opinion. I do not concern myself with politics. In all transparency and authenticity, I was nervous about taking this article. I told myself, I was not knowledgeable about DACA, in fact, I had never even heard of the program until two weeks ago. I was afraid of saying the wrong thing or not well representing the cause due to my lack of knowledge. I claim to be a person of empathy; a person who feels the pain of others so very tangibly. However, when it comes to the news, when it comes to things that I can “pick and choose” to feel for, I must admit I reflect apathy. I reflect a posture of oblivion. As I began having conversations with my friend Stephanie and other people on campus this week, I was sickened by my lack of knowledge over such a heartbreaking reality of dreams being put at stake. The craziness about the divisiveness of the world is this one thing: We are all people. Despite our skin color, despite whether or not we were born in the US, despite our religion, and family orientation. WE. ARE. ALL. HUMAN. Why do we overlook this one commonality? The ONE commonality, that although we could not choose what we would come into the world facing, the Lord chose us. So, whether the decisions our government has made in the past few weeks affects you or someone you know. Whether you were already are a supporter of DACA and aware of the changes being made or you were like me and no clue. I encourage you if you fall in the latter category, to be educated. Ask the hard questions. Have uncomfortable conversations.